We see our company as synonymous with regional leadership in the distribution of high quality products for the needs of the widest range of customers. With our 18-years experience in the Central and Eastern European market, we provide the needed support and guidance for our customer by offering them innovative and customised solutions for they needs. Our goal is to become a reference supplier on all our markets and the best and first in mind choice for our partners and customers. We can do that due to a wide selection of high quality solutions, excellent organization of distribution and competitive pricing. Service: Easy-to-deal with company. Excellent customer service. Proactive in communication. Correct order handling, correct invoicing, correct collection process. Logistics: Promised delivery time. Sufficient stocks. Trade marketing: Business-to-business. Trade promotions. Point-of-sales. Leading distribution company with operations across the CEE markets & Romania. HQ in Rotterdam NL and main office for CEE is in Bucharest RO. Regional: 1.000 active customers covering 16 countries in CEE, through representatives and partners, 35 employees in Bucharest HQ and more than 400 people involved, in all countries. Herzkraft offers all necessary professional solutions to our partners, by importing and distributing a full range of quality products, especially made to improve the hygiene in the companies and organizations we cooperate with. 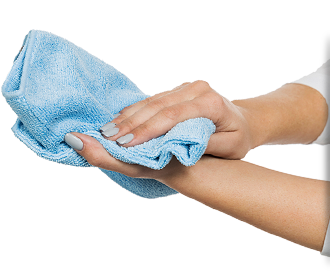 Our range includes professional hygiene products for washroom, paper rolls, professional industrial wipes, special wipes for surface cleaning, nonwoven wipes, pre-paint cleaning wipes, sorbents, hand cleaning and protection products, trash bags, dispensers and protection gloves.